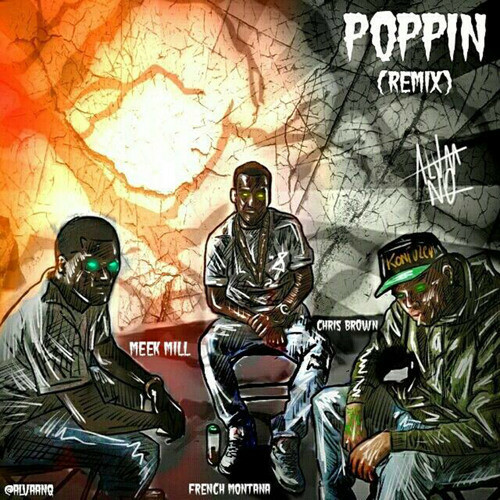 Following a series of remixes from Lil Bibby and Troy Ave, Meek Mill has joined French Montana and Chris Brown for a remix of “Poppin'” that is destined to leave your speakers smoking. It’s pretty much the Meek Mill show from beginning to end, but Montana delivers a few signature yelps of “Hanh” to remind you why he’s one of the most overused collaborators in hip-hop today. Brown is forgettable, but that is typically the case when the pop star tries to hold his own with real emcees. You can stream the remix below. The real question with “Poppin'” is whether or not the song’s viral success will propel Rico Richie into the limelight. So far the answer appears to be no, but as the song continues to gain traction at radio things may change. Who knows? Rico could be the next Fetty Wap. Stay tuned.